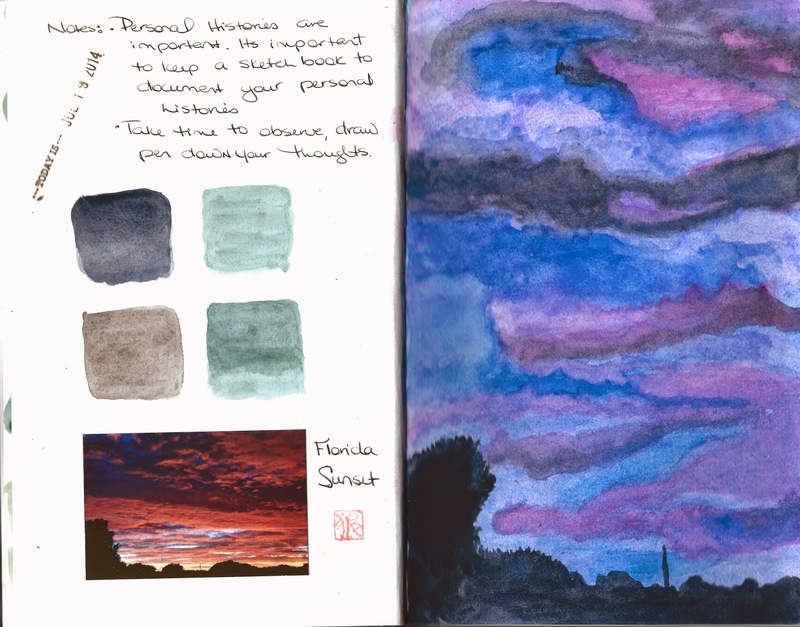 This weeks instructor is Prashant Miranda and our first homework assignment was to go outside and do a watercolor of the sky. The skies here have been a little boring lately, typical midsummer washed out blue, so I chose a photo that I took of a spectacular sunset that I took in the fall of 2006. Stillman and Birn, Zeta Series Notebook.